Having guests over for a Halloween party or dinner? 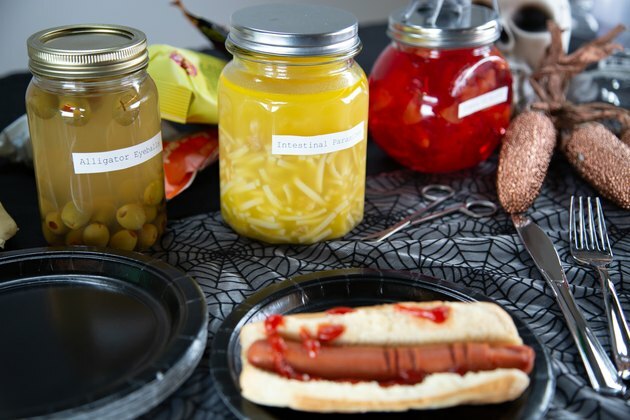 Make your own creepy, edible specimen jars that can be used to decorate your Halloween spread, or to scare guests at the dinner table! These jars will be sure to cause some confusion. 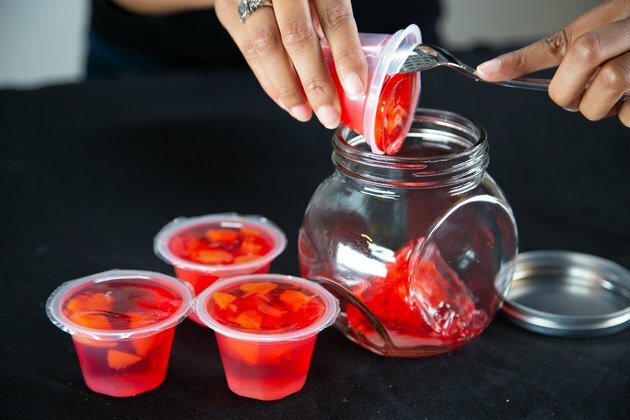 With mason jars, canned goods, and labels, you'll be able to whip these up in no time. 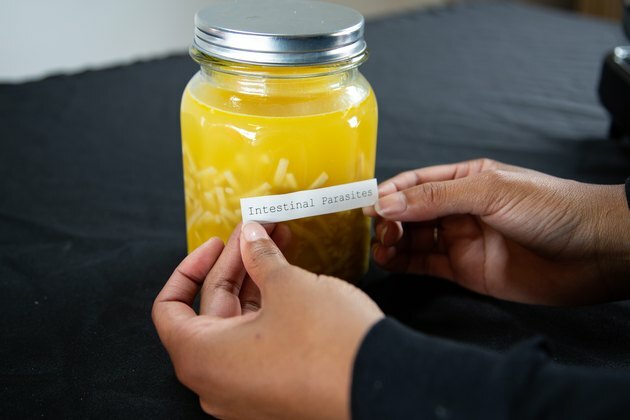 Print out creepy labels that involve unusual words and gross body parts. We went with Intestinal Parasites, Organs in Blood and Alligator Eyeballs. 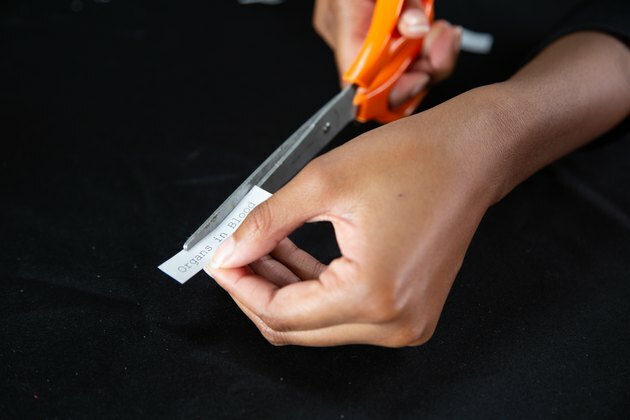 Then cut them into strips. 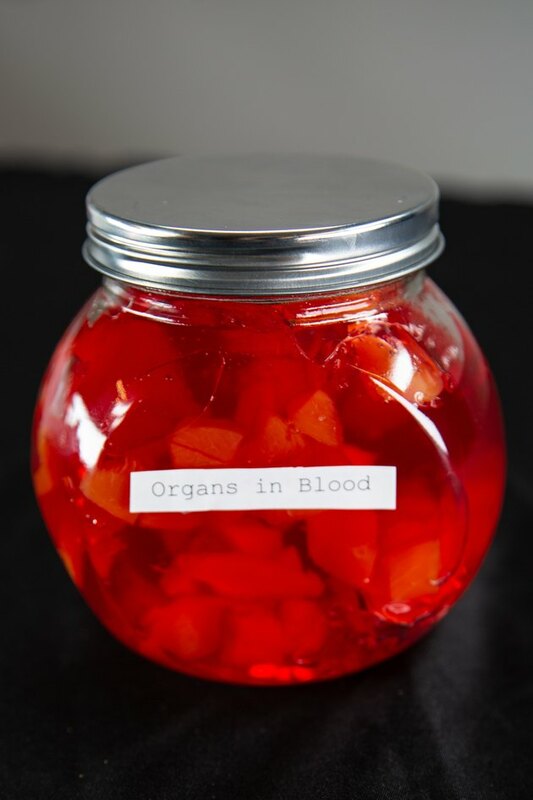 For the first jar of 'Organs in Blood', take any flavored fruit cups with red gelatin or juice and empty them into the jar until it's filled up. 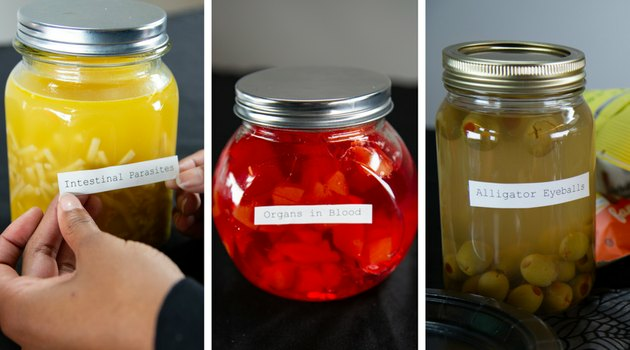 Add the 'Organs in Blood' label with tape. 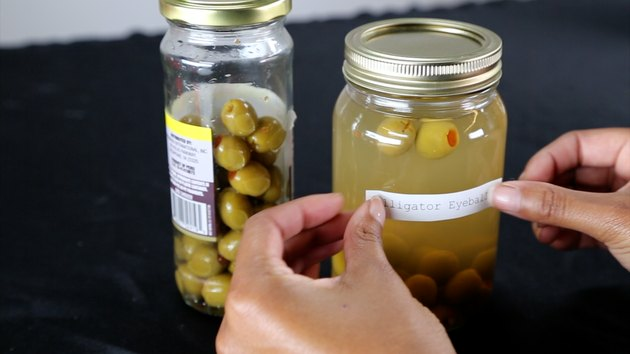 For the 'Alligator Eyeballs' jar, empty the olives and brine into the mason jar. Add chicken broth to fill the jar completely, then add the label. 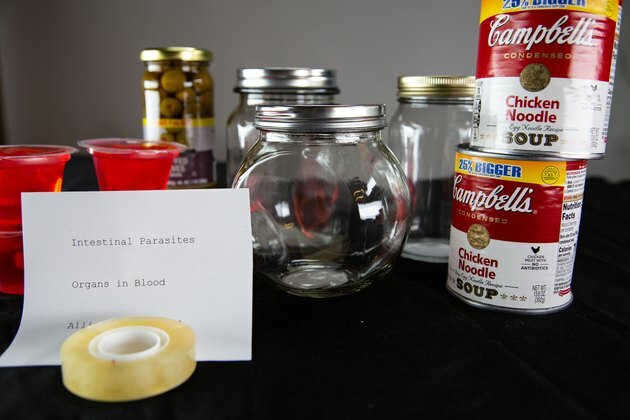 For the final jar of 'Intestinal Parasites', heat up some cans of chicken noodle soup. Let it cool, then pour into the mason jar and add the label. 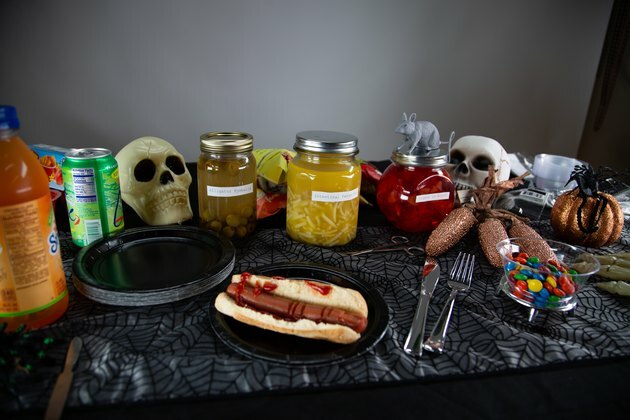 Decorate your Halloween party spread by placing the creepy specimen jars among the other festive foods and decor on the table. You can also confuse your guests by placing them on the dinner table!